Emily Cosgrove sets her sights on one company’s mentoring journey. This article was featured in The Training Journal February 2017. We are incredibly proud to have just launched Cohort 9 of this fabulous mentoring programme in January 2019. Mentoring is a hot topic at the moment and many organisations are choosing to invest time and resource to setting up more formal programmes for success. 71% of Fortune 500 (Source: ASTD) companies have a mentoring programme and in a global CEO survey conducted by PWC, 98% of millennials believe that working with a mentor is a necessary part of their career development. So the power of mentoring is undisputed and, when carried out with care, planning and experience, it is undoubtedly a win-win. For internal organisational mentoring programmes there is the added value of using your own people to grow and develop your key asset – your people. Whilst many organisations choose to set up formal mentoring programmes, not all of them choose to provide the necessary support and infrastructure to make them truly successful and sustainable. One such organisation is the Design Business Association (DBA), in this article we shine a spotlight on their journey. 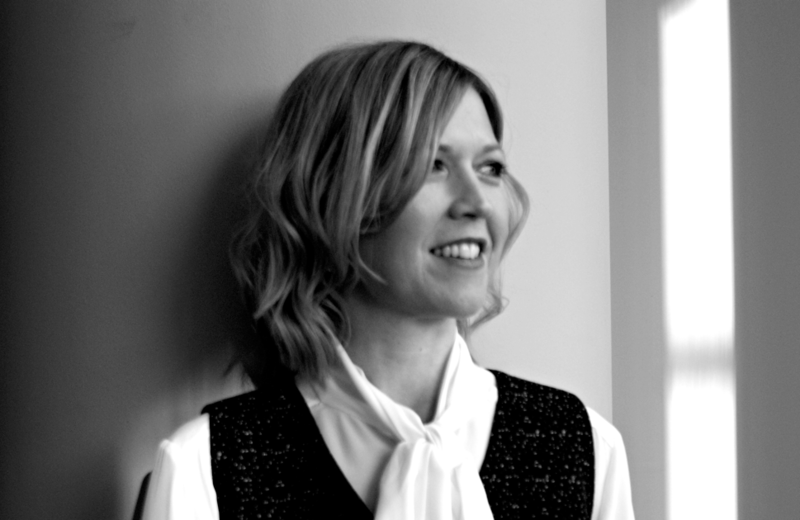 The DBA is the trade association for design in the UK. For the past 30 years it has been championing effective design and building the bridge between designers and business. Supporting a community of over 500 design agencies and design-led businesses as members, the DBA promotes professional excellence through productive partnerships between commerce and the design industry. Now approaching its seventh year, the mentoring has grown from strength to strength. In January 2017, the seventh and largest cohort of the DBA’s Twenty/Twenty mentoring programme will be launched with support from mentoring experts, The Conversation Space. 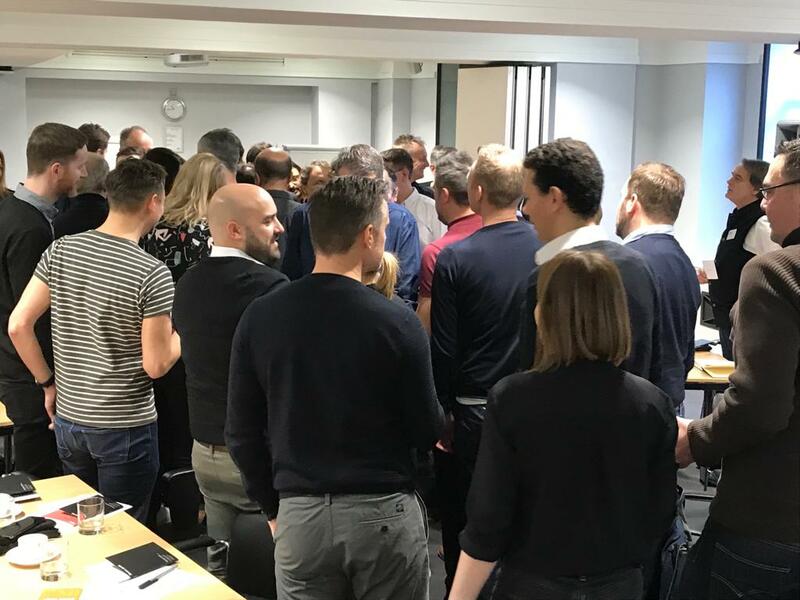 As the end of cohort six approaches, it has created a great opportunity to reflect on what has made this membership association mentoring scheme such a huge success, and what plans the DBA might have to keep it alive, kicking and on course to celebrate the tenth Twenty/Twenty mentoring cohort in 2020. The programme was originally set up with the support of the Arts Council England Cultural Leadership Programme and continues to be funded through a one-off fee which mentees pay to join the scheme. The DBA has been highly successful in their recruitment of mentors who are drawn from their member agencies such as Landor, Elmwood, Lippincott, Dragon Rouge, Smith & Milton and Brand Union. These mentors include many of the leading lights of the design industry and all of them bring a huge amount of experience to the table, great dollops of goodwill and a desire to give something back to the industry that many of them have helped to shape. Mentors speak of recognising the same challenges in their mentees that they themselves face, and acknowledge that mentoring offers a way to help both their mentee and themselves be better at what they do. When the programme launched back in 2011, a great deal of time and effort was given, using detailed profiles, to match each mentee with the most appropriate and best fitting mentor available. This process has been very successful with nearly all participants agreeing how well they think they have been matched. As the programme has grown and matured, the DBA have continued to invest the same level of time and attention to matching using a human approach. Head of Programmes, Natasha Papa, recently spent three days carefully selecting and matching next year’s mentoring pairs. The programme began with a launch and one midpoint face to face review, offered to all participants. Based on feedback from initial mentors and mentees, the DBA now offers all participants a full and on-going support framework. 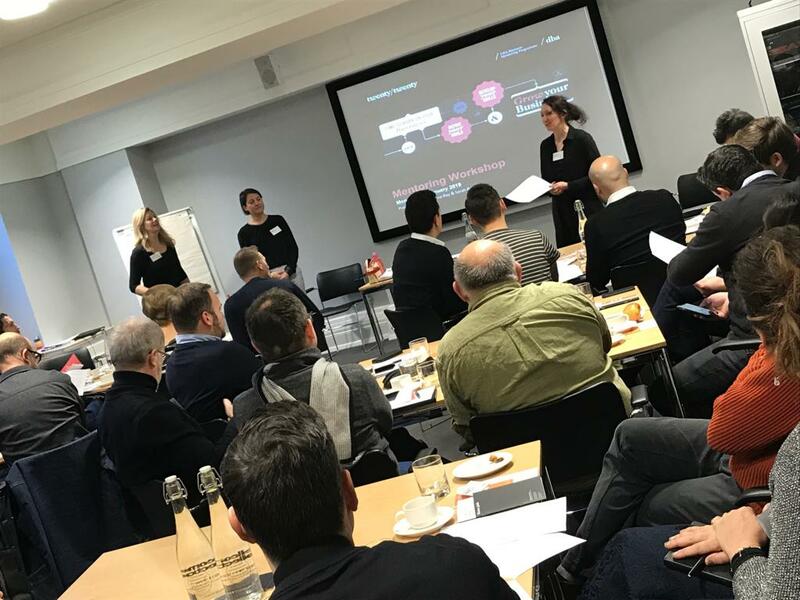 This includes an initial interactive skills workshop attended by mentees and mentors together, on-hand support with their first session, ‘Booster calls’ at quarter and three-quarter point and a face to face mid-point review six months into the programme. This increased support offering along with a LinkedIn DBA mentoring group, is helping to build an ever increasing community of mentors and mentees. Over the six years of the programme the DBA have now trained and supported over 250 of their members to be either a mentor or mentee, and the scheme is growing. A significant number of mentors continue in their role from one year to the next, not only taking on a new mentee in the new formal cohort, but often staying well connected to previous mentoring relationships. There are also previous DBA mentees who, having experienced the benefits of having a mentor on this scheme, have now taken on the role of mentor. Although the formal DBA mentoring programme runs for 12 months, many of the mentoring pairs choose to continue their relationship in an informal manner once the year is up. Asked why they have made this choice, both mentees and mentors describe the benefit and value they gain from the experience. As the first cohort of this programme was supported through Arts Council funding, evaluation and regular reporting were essential. Key finding from the evaluations were shared and also offered to the DBA board and have informed improvements for future cohorts. This continues to be a fundamental aspect of the Twenty/Twenty programme with mid-point and final evaluation reports collated and provided each year. 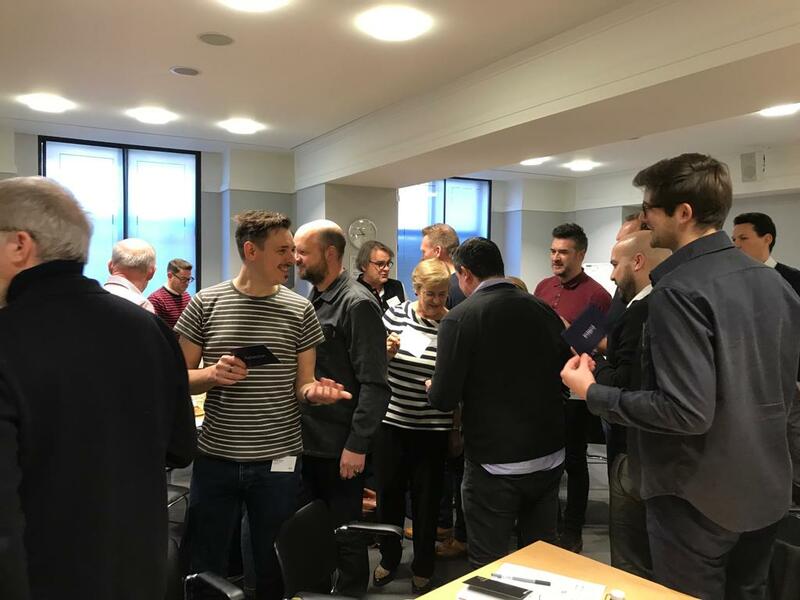 Across the DBA there appears to be a genuine desire from mentees and mentors alike that the programme is continued and shared more widely as there is a deeply held belief that mentoring conversations create significant shifts in thinking. If you are a member of a trade or professional association and are interested in mentoring, do get in touch as we would love to hear from you and share more stories about the power of mentoring. It is incredible how positively people in all walks of life and at all levels of importance will respond to requests from people they hardly know (or don’t know at all) to be their mentor. As long as you are clear about why you want a mentor and what you expect from the mentoring, getting a “yes” is relatively easy. If you are looking for a mentor here are some tips to help you think through how to find the right mentor for you, at the right time. Tricks of the trade: Mentoring reversed - Organisations are turning to younger members of the workforce to mentor more senior colleagues. But will this have a positive impact? We won two Training Journal Awards! Super excited to have won two Training Journal Awards for Best Coaching/Mentoring Programme and Best Commercial Programme with the fabulous Swarovski!